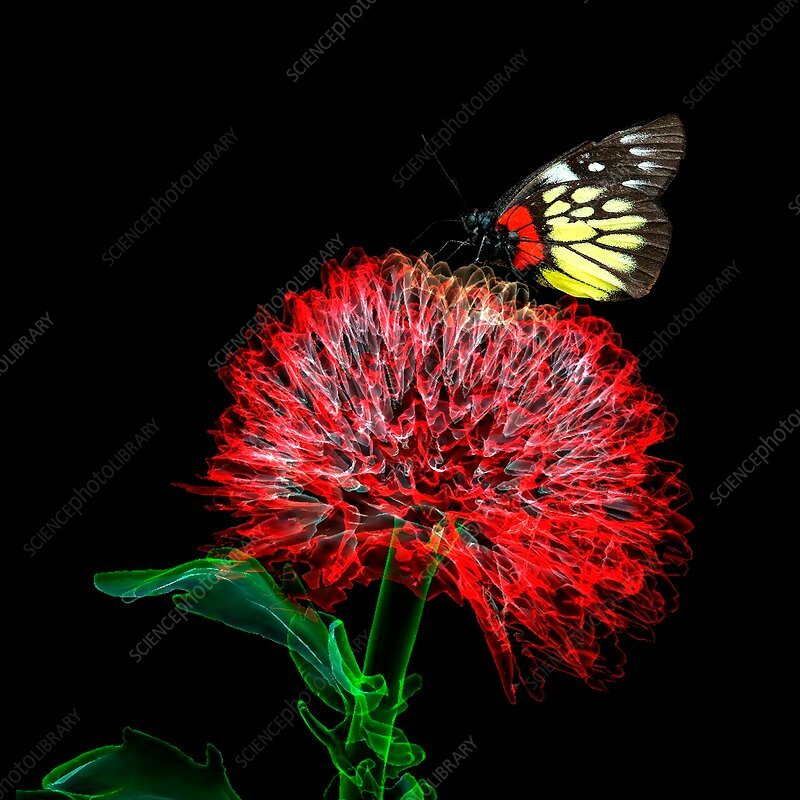 Butterfly on dahlia flower, composite image. Redbase Jezebel (Delias pasithoe) butterfly on a coloured 3D computed tomography (CT) scan of a Dahlia sp. flower. The Indian fritillary is native to the Himalayan mountains.